Landscape processes, both natural and those superimposed by human actions, change soil moisture balance, initiating and entraining land surface and vegetation changes. Although erosional changes over the long term are inexorable, they are slowed down by the occurrence of rock bars, alluvial plugs, highly cohesive clays and dense plant cover. By reinstating plugs or sills at key points in the landscape it is possible to prolong soil moisture and ensure the survival and productivity of perennial grasslands, and the wetlands that are the drought buffering habitats. Perceptive management responses include simple and subtle water harvesting, spreading and retention or drainage techniques. In the management toward ecologically sustainable productivity it is not enough to manipulate vegetation and fauna alone. This approach forever misses the point – the gully-head nickpoint – the primary causal and orchestrating process in landscape change. 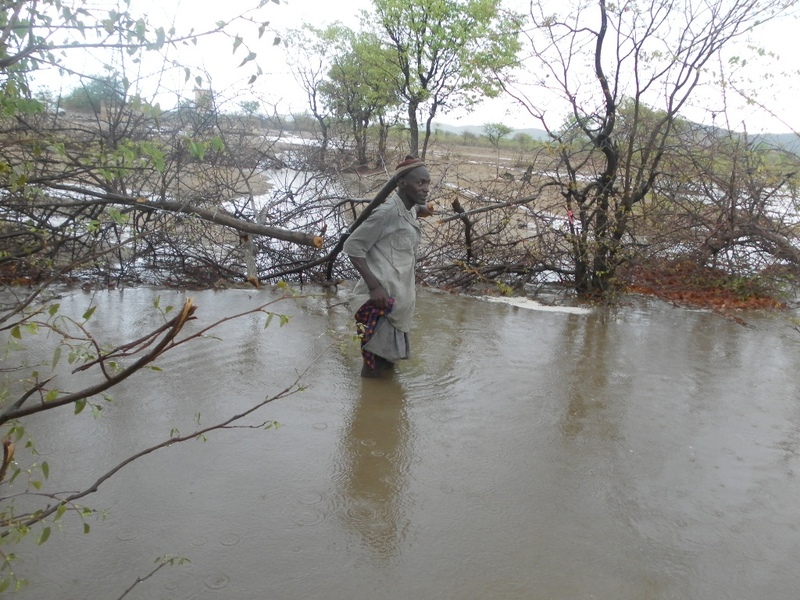 "If you are a tribal pastoralist it is simple to follow the four basic rules about rehydrating the land: (1) ‘Where’ to intervene in the drainage, (2) look upstream first to see if the drainage needs calming before doing anything, (3) look downstream to see where you want the flow to go when it passes the ‘where’ intervention site, and (4) only then, the ‘how’ (e.g. brushwood filters and /or stones and logs), or (5) if too hard – migrate. That is all nomadic pastoralists need to know about rehydration because they already have intimate ecological knowledge of their wide-open landscapes without fences. The situation in the confined geographic space of a fenced-off and paddocked station is totally different. Here only part of the station, maybe less than half is suitable for stock rearing. In order to manage in an ecologically holistic way the pastoralist would need to understand the ecological make up and functioning both within the station and its surroundings. If the station’s location is in a major catchment it is important to know its situation in regard to downstream or upstream effects. 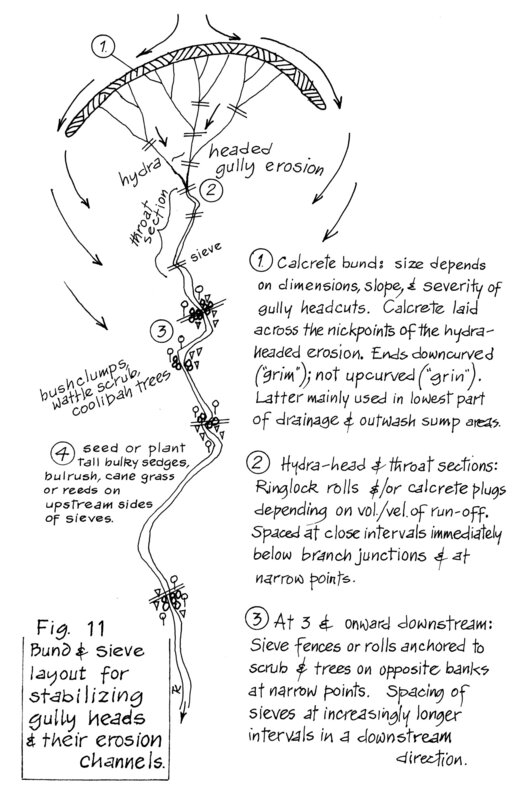 In order to manage in an ecologically holistic way the dynamic ecological context is that bounded by drainage divides at all scales – down to the smallest tributary. Pastoralists now have to do something new in regard to landcare – more whole, more interrelated. Just applying rehydration enhancement by itself can be a pointless exercise if the management remains ‘more of the same’ with little knowledge or care of land processes, and a lack of total grazing control.